Preachers get the best of lectionary and topical series preaching with this comprehensive manual of sermon series ideas based on the Revised Common Lectionary. 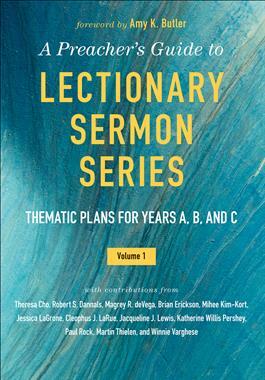 Designed to frame consecutive weeks of lectionary texts into seasonal and short-term series, a diverse group of twelve preachers outline multiple thematic series plans for each lectionary year. Each series plan provides a series overview, chart that outlines each segment of the series, tips and ideas, scriptural references, and a brief sermon starter. The series honors holy days and seasons and responds to typical patterns of church attendance, maximizing visitor retention and member engagement. Pastors can honor their commitment to lectionary preaching while taking advantage of the benefits series preaching can offer with this truly unique resource.